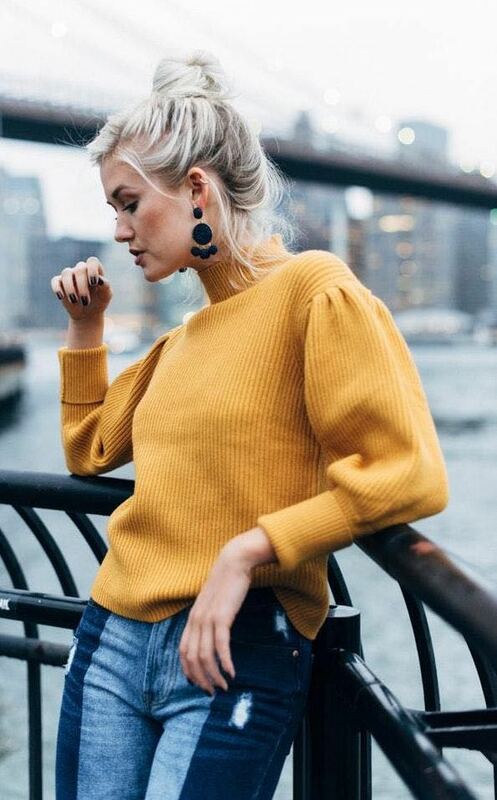 Mustard turtleneck sweater with balloon sleeves. Thick material and super comfy! More dark mustard in color instead of the yellow it looks in the photos.